Maybe you head up website development at your organization, and are seeking content management solutions that will help your team(s) speed up site deployment. Maybe you work at a digital agency and are always looking for ways to bring client projects to production faster. In any case, you have something to say about digital marketing strategy and the efficient delivery of great website experiences to users. 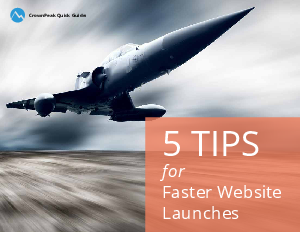 As digital marketers, we are constantly under pressure to launch new web properties quickly. Yet many enterprises large and small still aren’t getting the return on investment they expect from new website initiatives. Why? Because the whole process moves too darn slow.